It was a cop out, I confess. Preparing a training presentation for which I’ve been commissioned, I turned to Twitter for inspiration for the ‘Ten Commandments of Great Radio’. They always say, with social media, you should ask questions. It works too well, frankly. ‘Be real, tell the truth, speak to one person and smile’, suggested Little Nicky Horne, quoting the great Michael Bukht. Dave Rhodes leant on Nick Bailey from Classic FM’s advice along the lines of ‘Smile. Segue. Shut Up’. Matt Deegan was on a roll. ‘If in doubt, play another song’ and ‘Thou shalt not use words no-one uses in real life. Like thou’. (His gag. He’s funny.). He also advised ‘Remember to those listeners, you're the one that chose all those songs – be sure to tell them why with passion’. Philip Lickley also wagged his finger and muttered: 'Don't criticise the songs on the playlist'. Made me think of a comment I heard on BBC local radio last week: ‘Cor. That song goes on and on- gets a bit boring doesn’t it’. A colleague and I spluttered out tea in amusement. That chap should just shut up. John Myers was up for the challenge: ‘If you can’t say anything positive or interesting, hit Next. No-one ever complains about too much music’. He added ‘A menu is for restaurants. Radio is built for content with occasional surprises and those with a love of words’. John’s gone off menus generally of late, actually, and his weight loss is thoroughly impressive. Well done, Sir. You look a Bobby Dazzler. Oh yes,and ‘Practise asking questions in one breath. Anything longer and you’re waffling. Umms are errs are the tools of fools’. I shall ignore the ensuing debate about – er - Fluff. I quite grew to like Alex Healey over the course of the evening’s discourse. ‘When lacking content revert to biscuits”. Ah yes. What are those little red wafery ones called? Yummy. And whatever happened to Wagon Wheels? No. Don’t. On a serious note, Alex suggests: ‘listen to the radio’. He is surprised that applicants don’t have much idea of what stations do when they roll up for a job. He’s right. Tush. Kids today, ey? Alex also insisted we say ‘tops of’ when discussing the temperature; and 'play Katrina &The Waves when the temperature exceeds 15C'. 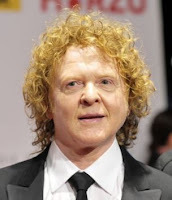 On music, Jon Gripton just says ‘no matter what the research says, never play Simply Red. The truly wonderful Richard Murdoch reminded us ‘never fade Bohemian Rhapsody’. I actually have a lovely faded instance of that preserved for posterity. Remind me to play it to you. Richard Horsman is a thoroughly wise, sensible, serious educator who also adores the fun of radio. A rare breed. 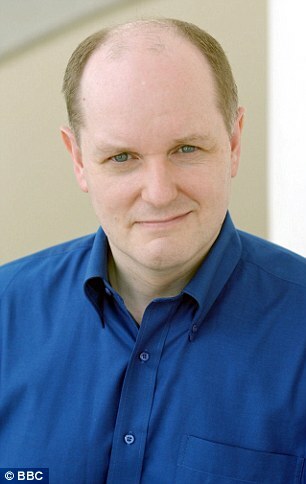 ‘It might be wacky or satirical – but it’s still contempt, even if you’re funny’, he counsels. The talented Simon Grundy reminded me ‘don’t refer to children as kids’. I rather think he’s smiling wryly as he remembers a Lincs FM 1992 edict, where presenters were hanged in Witham Park if they broke the rule. Depends on the context, I reckon. But ‘cops’ in news. Hmmm. I’d rather not. My old mate, patient producer Tom Reeves, said ‘Always put the listener first and work backwards'. Spot on. 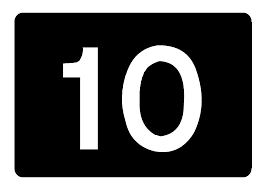 Diolch yn fawr. It had clearly been a long day for John Dredge: 'Engage, entertain and...Englebert Humperdinck'. Titus Jennings reminded us of Everett’s rule: ‘Sound like you’re having fun that’s the secret to great wireless’. Mark Hickford’s a cautious bloke ‘Always have a back up plan. If something breaks, you need to cover the silence’. Isn’t it funny when someone happens to play the song which is the first one on the back up ‘tape’ and everyone runs around wondering what’s gone wrong. 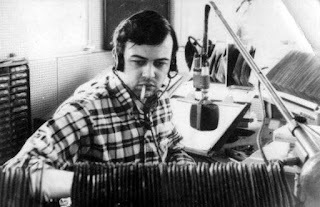 Mark also had a thing about rivals: "Thou shalt not slag off (or really even mention) other stations". Lovely Chris Hubbard took the opportunity just to ban ‘A very good morning to you’. ‘No-one says that’, he asserts. He’s right of course. Rod Whiting (what a voice) is in poetic mood. ‘Turn up the colour and contrast and own it’. Last Word today goes, not to Matthew Bannister, but to the wise Glyn Jones: "Never forget that what you do is the most important thing in the world and, at the same time, joyously trivial". This was not a contest, but lines have now closed. Your text may be wasted if you text in now. The above bears little similarity to the presentation I’ve really assembled, but it’s certainly given me a few gags. Many thanks. If you want to see me host the presentation, I charge nowadays. But it’s worth it. The two sides of the BBC published their annual report last week. In the blue corner, the BBC Trust in 'end of term' mood - and across in the red corner, the hard-working operational BBC Executive. First the headlines, as Huw might say. Dum Dum. 2015/16 was the penultimate year of the ‘Delivering Quality First’ (DQF) savings programme, which has delivered £621m savings by the end of March 2016. The programme remains on track to deliver a total of £700m in annual recurrent savings by the end of March 17. The Trust Chairman, Rona Fairhead, assures that “It is clear that there is no public appetite for fundamental change to the BBC’s scale and scope”. She’s right. We’d vote to keep the BBC as it is. Not that I’m suggesting a Referendum. We’ve all had quite enough. Despite both the reputational challenges of recent years and much competitive media, BBC satisfaction remains high, and the BBC’s own polling, Charter consultation and the Government’s own consultation bear this out. Most people would likely rate the BBC highly and feel it is value for money. More savings are needed, however, and listeners and viewers might fear they will eat into quality. Talk to most people on the ground at the BBC, however, and they can easily volunteer further savings which would likely make programme quality and staff morale higher not lower. The report concedes that, of all the BBC’s ‘purposes’, the ‘nations, regions and communities’ purpose remains challenging. Average performance scores, however, have grown from 44% in 2008 to 51% now, with the importance of that area growing to 51% from 44%. There were some declines seen for ‘content that is for people like me’ (59% vs 64% last year) and ‘representing my nation/region in news’ (54% vs 59%). 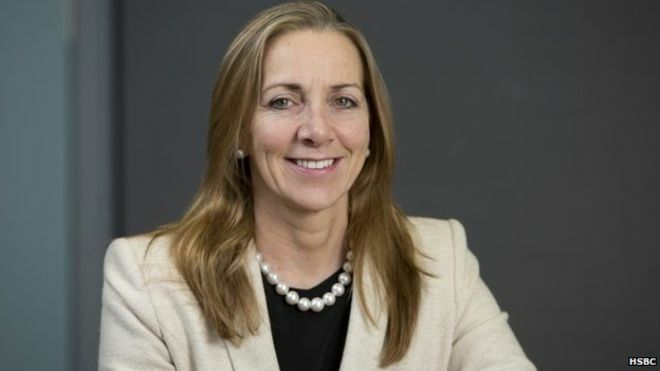 The Trust recalls that in its review of BBC Local Radio and local news and current affairs in England, it recommended that “the BBC give greater explanation of local political and policy issues on its local services and continue to work collaboratively with other local news providers”. 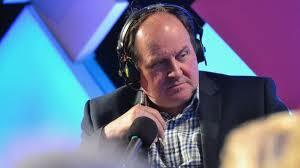 The cost of BBC local radio in England rises to 119.8m from 115.6m. Its weekly reach declines from 15.5% to 15%. I calculate than (pan UK) ‘BBC Local Radio’ reach amongst 55+ remains at 27%. Although that is stable, it remains significantly lower that oft-criticised Radio 1 in its sub-34 demographics. Appreciation of BBC radio overall remains high, now up to 80.9%. It is better rated than TV or online (the latter said to be “affected by relaunches of the Homepage and News sites”. The familiar warnings on younger listeners are despatched: “radio makes up a much smaller share of audio listening among younger audiences: 15 to 24 year-olds’ time spent with live radio is 49% of their total; this rises to 57% among 25 to 34 year-olds, 81% among 35 to 54 year-olds and 89% among those aged over 55.” As a medium, we need to take this seriously. Not in a defensive way, but simply recognising the reality. Anyone with kids will tell you that life is not the same as it was when we would have been bereft about a flat PP9 battery. The BBC’s reach is lower among young adults (15 to 24 year-olds) at 55% and this has fallen just slightly, from 56% last year. So, Rajar suggests than just under half consume no BBC radio whatsoever, and it’s fallen. Further up the scale, Radio 2 is clearly a titan of a station, but its audience of ‘35+’ is not so much a target as a whole dartboard. I note it’s doing better with its younger, rather than older shoulders. Amongst 65+, I calculate that BBC radio reach has fallen from 76% to 74% in a year. Over a quarter of those aged over 65 seemingly find nothing of interest in any BBC radio service, a demographic largely untargeted by commercial radio. Whilst there is much daytime TV and rival attractions for the older vote, this may seem to ask a question about whether BBC radio overall is doing its job for these 11.5m people as well as it might. BBC 5 live gets favourable comment although the Trust says: “In our service review, we asked the BBC to consider how it promotes Radio 5 live, and to give greater emphasis to its news remit so that its reputation can strengthen in this area alongside its reputation for high quality sports coverage.” As any programmer knows, you simply cannot do both. If a news story hits at the wrong time, and we’ve had more than our fair share of late, you have tough choices. In times of crisis, you know what Sky (TV) and LBC will be doing, but unless it’s a major crisis you may have the Archers on Radio 4, a footie match on 5 Live, and a man pointing at a weather map on the BBC TV News channel. The Trust states: “Our review of BBC Local Radio and news and current affairs in England asked the BBC to improve its local web offer further. We found that audience expectations are still not being met in this area despite improvements such as the introduction of Local Live feeds, which provide more dynamic and up-to-date local news by combining short news updates with links to longer form content from the BBC and other local news providers”. I agree. I’m not confident the audience has noticed these new initiatives. They are not easy to find. Search a city name and 'local news', or similar, and you get to a different page than the actual dynamic feed, with often aged stories. It’s not obvious that you need to click on ‘Live’ for refreshed content. And, in any case, who follows a rolling news blog of random stories (not least one which shuts down when the digital person goes home)? It’s a topic for another time, but I’m thoroughly unsure that the BBC has yet mastered the web/social media/broadcast relationship for local news in a way that really squares with the journey of how real people seek their information. In my past lives, we discovered our journalists would spend ages assembling news copy for the website, but page views were minimal, apart from those stories we had pointed to from social media, so we turned the strategy on its head. I concur, therefore, that ‘The BBC will need to continue to improve the speed of its local news reporting and flex the ways in which stories are made available in order to meet changing audience expectations’. Moving to the ‘Executive’ section, the DG of the BBC itself says “Let’s also not forget the essential role our local radio stations played in keeping their listeners and the whole country informed about the floods. And they do so much more besides”. Am I being suspicious in suggesting that sounds to me as if the DG is not altogether sure what this great thing called local radio is - or does - in general terms? It does that flood service thingy and... Disappointing. I know, alas too well, that you cannot build a lasting radio 'business' just out of being relied on in crisis. BBC local radio needs a higher profile and a deeper understanding within the BBC. It remains as unloved now as it was in 1967. If the BBC really does not want to do it, maybe it should spin off the funding to someone else to love and provide it without the head office migraines. Maybe that would feed into the ‘proposal to open up BBC Radio to more competition from independent producers and…deliver savings, whilst remaining focused on the quality of our output’. The BBC trumpets its specific initiatives – and so it should. Radio 1’s #1millionhours campaign; Radio 2’s ‘500 Words’ and commemoration of the 75th anniversary of the Battle of Britain; and Radio 3’s seasons like Northern Lights and Why Music? And the list goes on. We want the BBC to give time and effort to deliver rich content and have dedicated resource to do it brilliantly. Some material we see and hear is breathtakingly good. Spend is down across radio, apart from at Radio 4 and the Asian Network. 4 Extra incurs a significant drop but its growing audiences have evidently not noticed. BBC Radio Cymru remains the most expensive radio service, up from 21.1p to 22.3p per user hour. The next most expensive is right down the scale with Radio 3 at 5.5p per user hour, with BBC local at 3.9p. Diolch yn fawr. BBC online is at 9.6p, so more per user than any radio service, and that presumably is for a single use, not necessarily an hour. 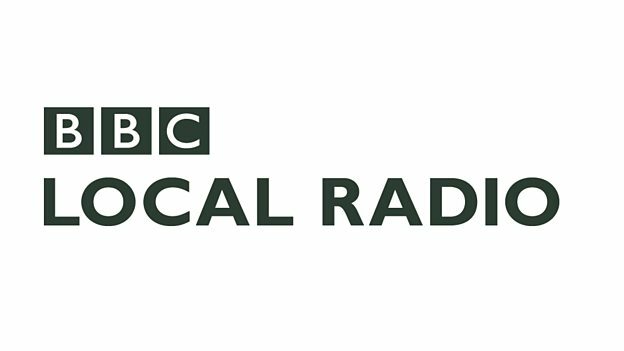 BBC local radio content costs as much as Radio 1, 2 and 3 added together. In many ways a high cost is thoroughly understandable. However, as the Corporation seeks to make further savings in the next Charter term, this cost will again come under scrutiny. There are other ways of delivering great local radio across the towns and cities of the UK. Nibbling into the budget inch by inch without making significant strategic changes means there will be nothing left for dinner. Heads have rolled. The number of senior managers at the BBC throughout has fallen to 356 from 484. I’m glad the role I briefly had has disappeared. It was clear to me on Day One it was unnecessary, and I’m pleased that the equivalent roles are now being expanded to replace other positions. I suspect the post-holders are less bored too. Having said that, the executive pay at the top of the BBC is not over-generous. There were just far too many of them. 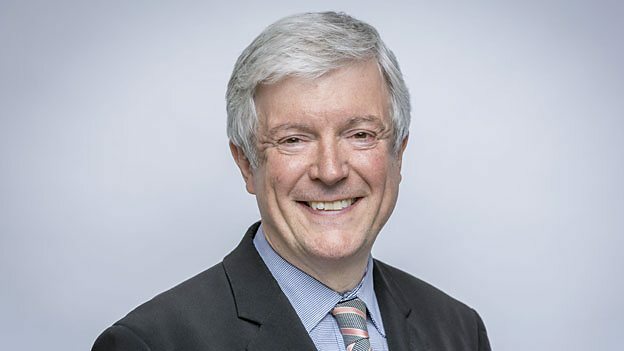 The last year has been one of the most complex ever for the embattled BBC, with some buttock-clenching disputes, a Charter to sort, World Service costs to absorb, a tough and changing political climate, budget reductions, heightened scrutiny, the binning of its ‘regulator’, and a Referendum to cover. In my ‘Conversations’with Roger Mosey, he reflected how the BBC has 'chewed up and spat out' its DGs over the years. It’s a tough job. The BBC is getting a lot right. At this critical time, it needs to be bold, proud and visionary. Inspire. Let its leaders lead. Devolve. Let its managers manage. Do what it is supposed to do with energy, efficiency and creativity. It was fascinating seeing gaudy graphics hurriedly changed and programme schedules re-arranged as an unexpected Brexit decision loomed. (Although to be fair to the pollsters this time, they had actually depicted a close run contest and, for a time, a Brexit win). At the moment the UK verdict became unarguable, I noticed a tired Dimbleby look down and glance at his notes. I suspect within those lay suggested words to include in the historic phrase he knew would be shown for decades to come. He knew 'well, fancy that' would not have cut the mustard. 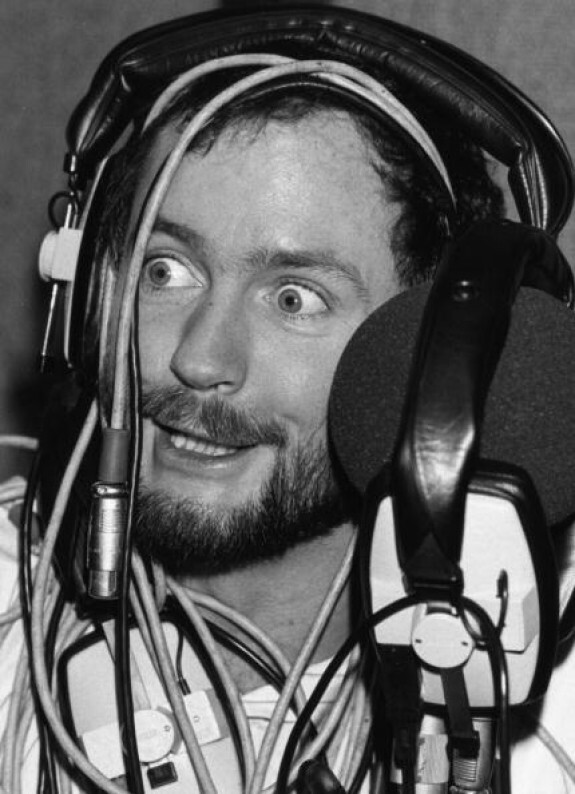 How many poor bits of British radio could have been avoided by some sensible forethought? The week before last, on my first day deputising on BBC Radio Nottingham's breakfast programme, I had to talk up to a Somme silence at 0730. Given this was an unusual set of silent circumstances, my co-host, the excellent Sarah Julian, lined up the audio of the feed from Westminster Abbey, and sensibly lined up a second audio source, just in case. Rather like when I was invited to give a Powerpoint audio/visual presentation as part of a funeral tribute to a dear radio friend, there are some occasions when you simply cannot rely on things going right. A few years ago, when I bumped into Carol Thatcher at the crack of dawn one morning at LBC, a week ahead of her scheduled week's Ferrari relief, she admitted cheerily she was just getting things clear in her head by watching and questioning. "Mother always said, an hour spent in preparation is rarely wasted'. Preparation is a key job of any radio presenter or producer. Alas, too often, some shrug things off when they don't go as well as they might, citing unforeseen circumstances as their alibi. They think that's an excuse. It often isn't. Whilst we're not psychic, it's the job of a presenter and producer to ask themselves what might happen - and prepare. A content 'risk assessment'. What might go wrong? In what ways? Anything else? If it does, what do we do? Just as importantly, what might go right? Anything else? How do we take advantage of that? The brilliant LBC does not have its cameras rolling for nothing. In general terms, what are you going to do on your show today - or in the next link? Every single bit of radio - even the simplest - should have a purpose and a value. Have you really thought through what that purpose is - and how you can best deliver that value? Have you prepared your angle in your head? Will it truly gild the material with emotion, entertainment or insight? Will it add or subtract? Do you really know where you are going - or are you opening your mouth and hoping for the best. 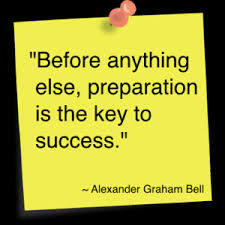 Preparation can be a year ahead - or sixty seconds ahead. And, yesterday's preparation can be rightly replaced by today's. Inexplicably, some programmes just fly effortlessly. You're on form. Everything works. Your mind generates incredible material spontaneously. Preparation ensures that the rest of your shows sound just as good. Even the most gifted, instinctive broadcasters have off days. Teddy Wakelam gave the first ever commentary on British radio in 1927. His performance would likely not have been quite so good had he not commentated off-air on a schools' match a few weeks before. Great commentators, whether sport, a by-election or a Royal visit have prepared to fill the gaps when nothing happens. You would not run a marathon without training. When a new contest is being launched, have you run through it 'as live', to ensure the mechanics work and the drama is perfect? Do you know what's to happen when the contest is won? It may happen much earlier than you imagine. What happens if there's a draw? 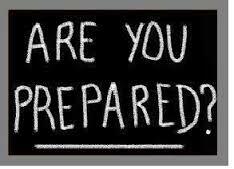 How do you make sure you are prepared? What happens if no-one picks up immediately when you solicit response to a topic? What is your refreshed angle or perspective to give a second bite of the cherry? What brilliantly simple question have you got up your sleeve for your next contributor? Whether a random kid on the phone - or the Prime Minister. There's a huge difference between a question that's going to deliver value - and one which will simply deliver an answer. What can you do to make the best bits truly award-winning - and the worst bits sound thoroughly tolerable? When John Major's line went down on James Naughtie's final Today programme on Radio 4, John was back by phone seconds later. I suspect his phone number was readily to hand, because Radio 4 producers know these things happen. And they know that grumbly 'why oh why' listeners will write to Roger Bolton's Feedback when it does happen. Rehearse the bits you can. Leave your mind free and relaxed to get the best out of the bits you cannot. Great producers know that their long-term presenters might tire of routine. They prepare to invigorate, not wait until it happens. In extremis, what happens when your building is evacuated? What happens when a key figure dies inconsiderately at the weekend when the station is less well-staffed? The great thing about radio is that the unexpected can happen. The trouble with radio is that it does. The best presenters and producers prepare, and ensure they have the time so to do. There really should be a prolonged round of applause at the next commercial radio knees-up for the brains behind the current campaign from RadioCentre, aimed at persuading key brands to spend a penny or two on radio advertising. 'See Radio Differently' is simply one of the cleverest concepts I have heard in recent years, and beautifully done. It's little wonder that the ad agency behind it, ‘LuckyGenerals’, also won the coveted Twitter business and was highly acclaimed by the canny Paddy Power marketers. I'm informed that their 'elevator pitch' describes them as "a creative company for people on a mission'. Quick, is this your floor? 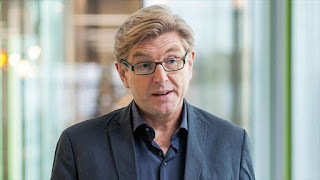 The RadioCentre campaign identifies the brand decision-makers who need to be persuaded that radio marketing would be good for them – and addresses them directly. The most recent one talked to L’Oréal’s CMO Hugh Pile in an Indie way. The lyrics are clever – and the production impressive. Like all great ideas, it’s simple. 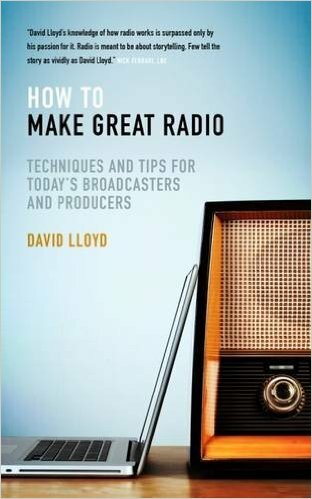 And the concept inextricably revolves around radio itself, yet easily supported by outdoor, print, PR and social media. When Craig wants to follow up on the love letter he's been sent, there's a clever digital response route. It's been thought through with enviable skill, from Craig's perspective, and everybody else. Radio's a one to one medium - but we all know if you address that one person skillfully - its quiet brilliance actually influences 48m. I wince as I concede this flash of inspiration is a far cry from most inward-facing campaigns on radio. Despite the fact that radio should understand itself well, I’m not sure we've often hit the mark with many of our DAB campaigns – nor the old pan-industry ‘buy ads on radio ‘campaigns (remember Bill Bore concept?). They have failed to impress me. Even worse are the ones we’ve all heard, usually locally-produced, on our own stations. The grumpy local advertiser who likes the sound of their own voice, reading a scribbled script saying how radio worked for them. There is likely a story on his life and business which radio could tell brilliantly well to illustrate the point, but he doesn't manage it - and we haven't helped him. And then there are the job ads. Don’t get me started. Usually written by a junior scriptwriter who listens to BBC 6 Music and who doesn't actually know the current name of the station he works for - and thus puts 'FM' where 'radio' should be in the script. It uses off-brand and off-target language and sounds like it's advertising for a person to operate the switchboard at an greengrocers rather than inspiring a bright individual to work in the world’s best industry. If we cannot shine when we advertise our own properties on-air – we should give up. The driving objective for any job ad is surely to make me want to work for the company. I don't need to know – at that stage- that there's a competitive salary and a parking space. Back to the ads for advertisers. It is, of course, infuriating we have to bother persuading folk in agencies, who really should know what they are doing, of the value of radio. Alas, however, too many agencies in shiny towering buildings are staffed by lovely bright young hipsters who tend to live a rather different life from the 90% of folk who listen to a hell of a lot of radio each week. Let's note too that the vast proportion of the people with access to the biggest ad budgets are based in London. I recall one who, when told by one of our team that we had over a million listeners in Yorkshire, scowled and said patronisingly "I meant reach, not TSA size". She really didn't believe that so many folk lived up North - or had electricity. But – there is a job to be done – and the busy, gifted people at the top of the agencies and client-side can cascade our message if we bother to express it well – and RadioCentre bloody well has. You can order a copy of my book 'How to make great radio'.